It is recommended that you prepare your roof before the cold season, which guarantees that you will have a quiet, comfortable winter. You do not necessarily have to call a Denver roofing specialist; there are a few things you can do yourself in order to determine if your roof is adequate shape to withstand the cold season. You need to look for loose, broken or missing shingles; if you notice such problems, replace the shingles immediately. If your roof is very old, it is advisable to call a specialist who will decide whether a damaged roof coat should be repaired or the roof must be replaced altogether. Another thing you need to do before winter is to clean the drainage system – gutters and downspouts. Remove dried leaves, twigs and any other debris and use a hose to send water through the drainage system and see if it works properly. If necessary, have Denver roofing companies add drain tube extensions to send melting ice and snow as far from the foundation of your home as possible. Check the attic, and the ceilings for water stains. If you find suspect areas, check them again after a rain. If they are wet, call a professional to repair the leak as soon as possible. 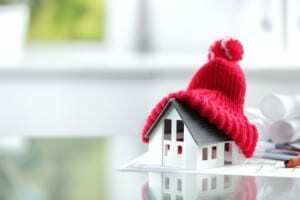 Add extra insulation to the attic, to prevent the formation of ice on the roof.